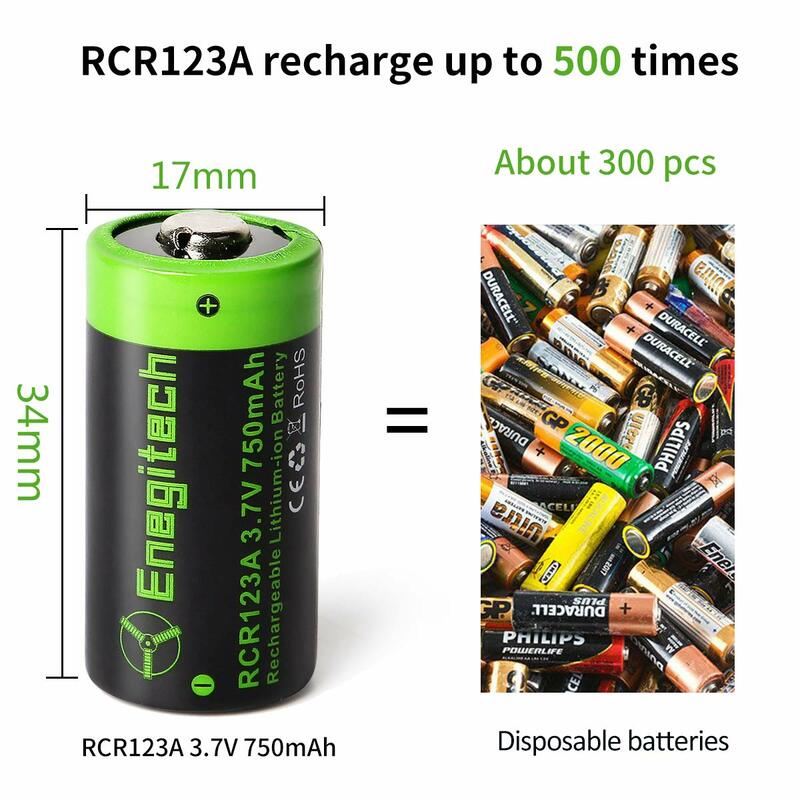 【Notice】Please recharge them before first use， RCR123a batteries contain about 50% power in consideration of Transportation Safety Rules. 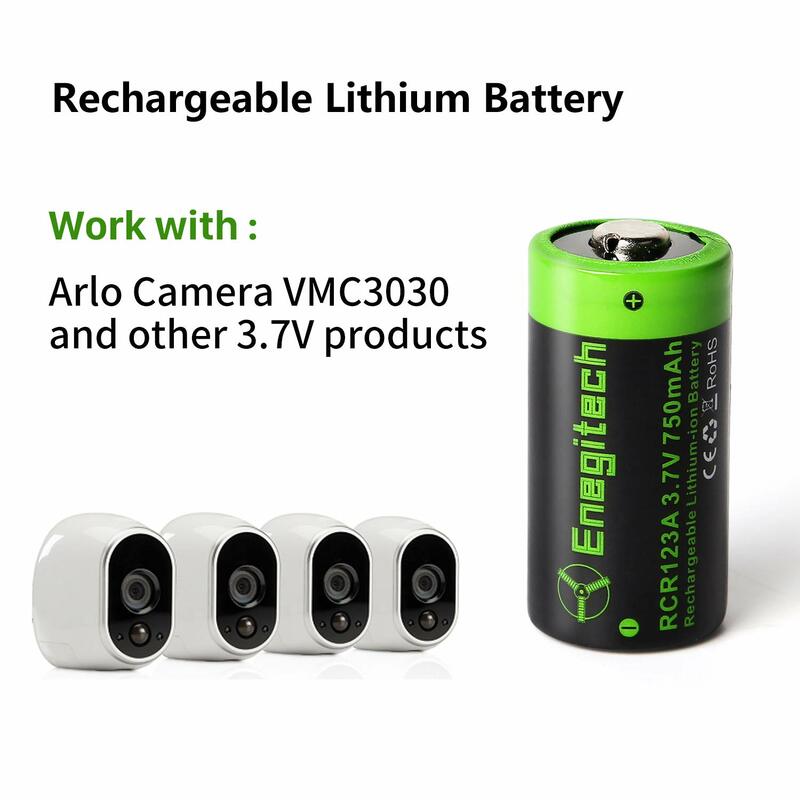 【Wide Application】: Arlo Camera (VMC3030 / VMK3200 / VMS3330 3430 3530), Flashlight, Digital Camera, Camcorder, Electronic Toy, Calculator, Mouse, Alarm System. 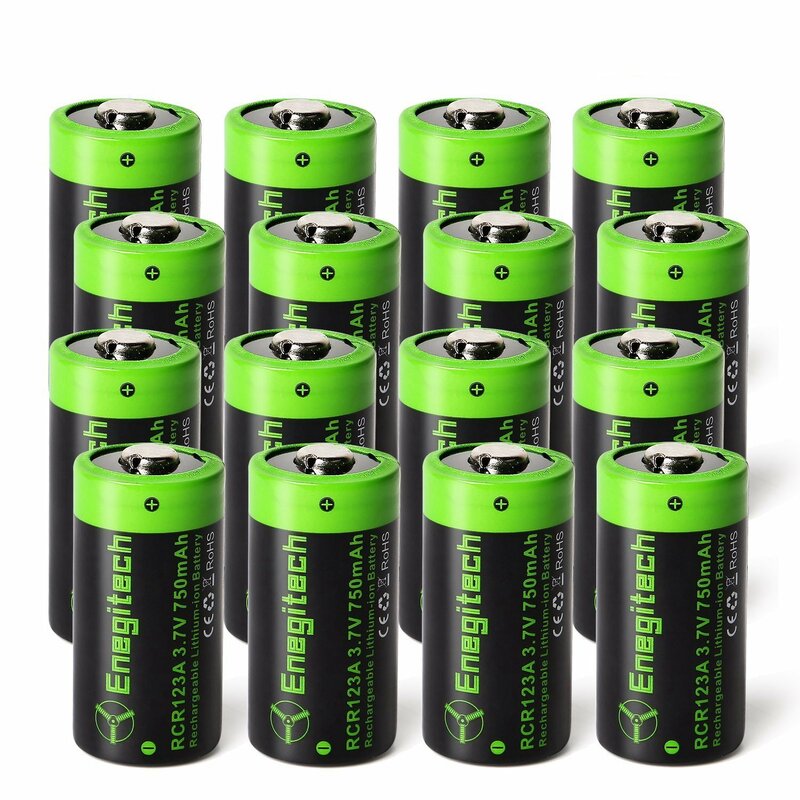 【Replace Disposable Battery】: 123, 123A, BR2/3A, CR123, CR123A, CR123R, CR17335, CR17345, DL123A, EL123AP, K123LA, L123A, SF123A, VL123A, 5018LC. 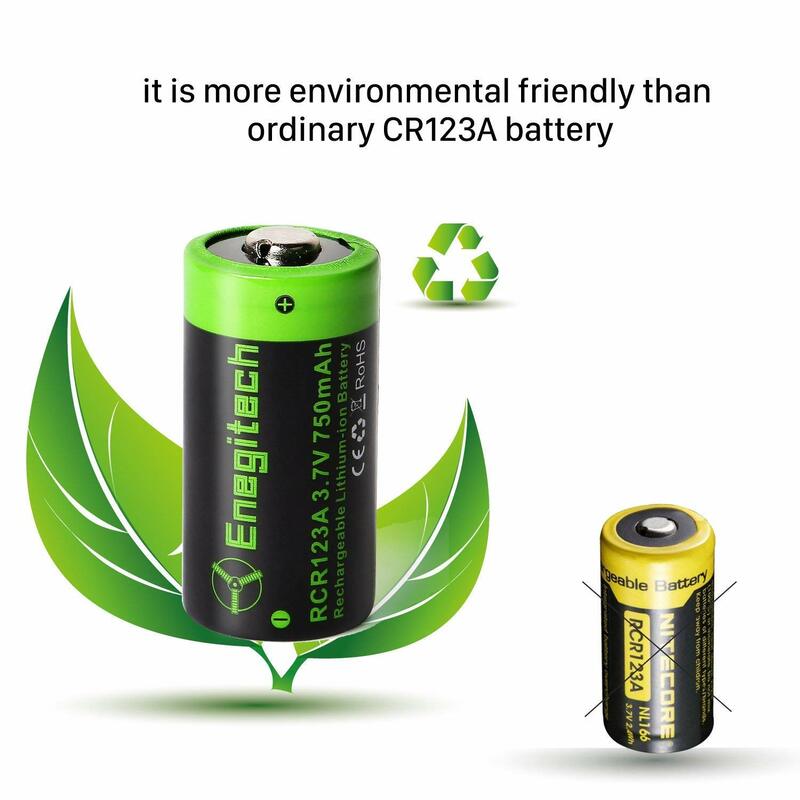 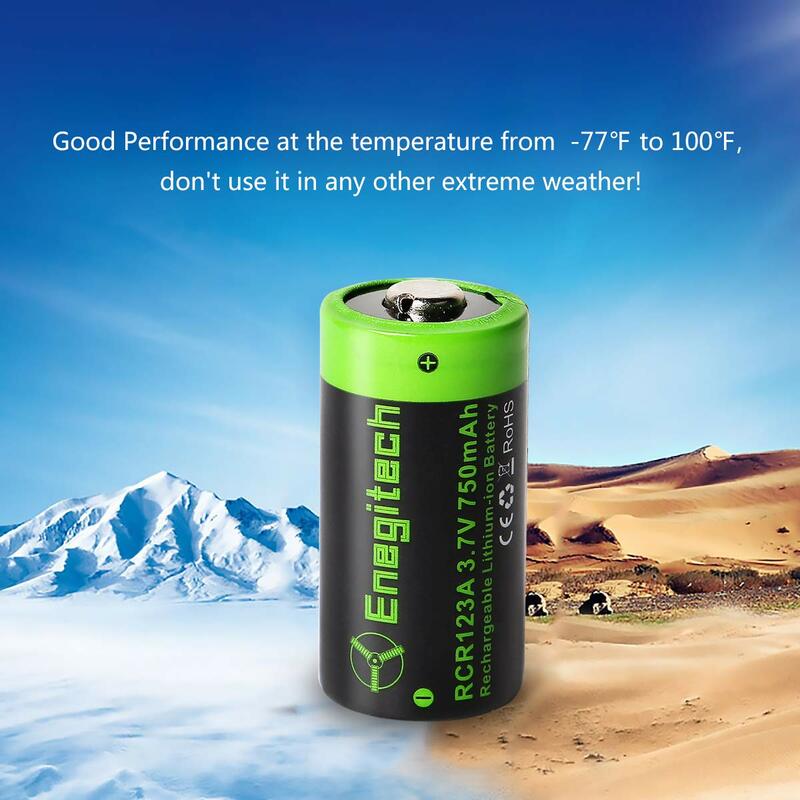 【Environmental Friendly】: It’s super convenient to use and replace single use battery to save environment by preventing the waste of non-rechargeable lithium/alkaline CR123A battery. 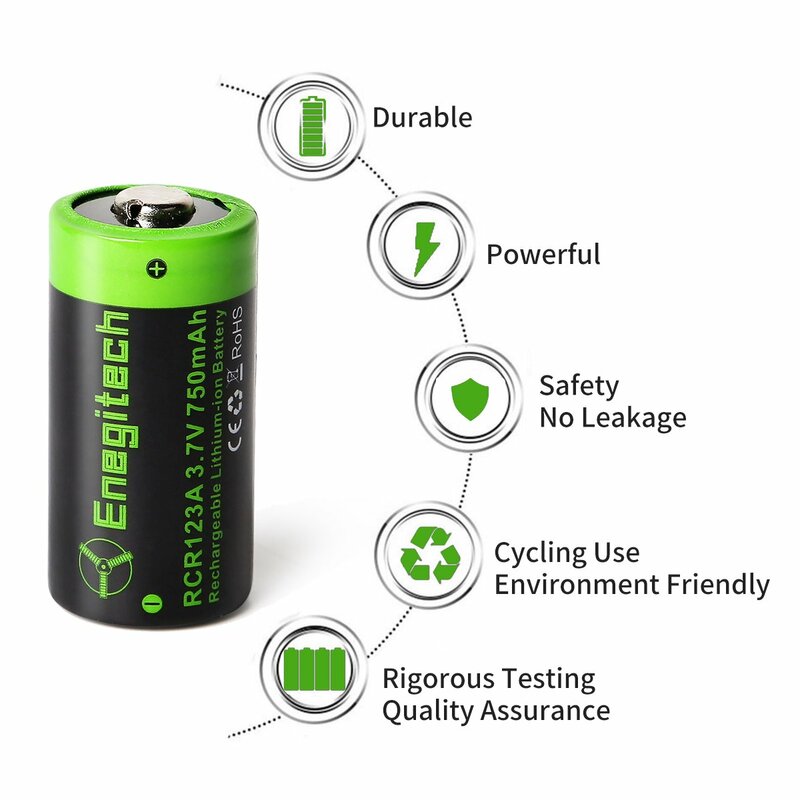 【Safety Usage】: Built-in smart protection to guarantee great performance against overcharge, over-discharge, and short circuit.